Limited edition Giclee on canvas. 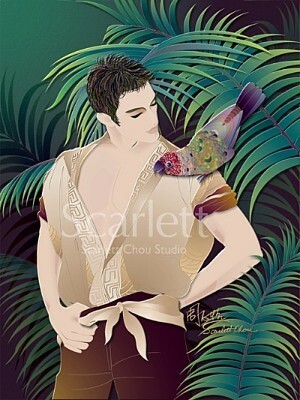 Green leaves symbolize youth and everlasting energy, parrot symbolizes passion and beauty. This artwork shows the harmony between human and nature. A romantic gift for your lover or best friend.